Image from the ABA Grassroots Action Center. ABA leaders and state and local bar members from around the country will meet with their congressional representatives on Capitol Hill this week as part of ABA Day, an annual initiative organized by the Governmental Affairs Office to encourage members to advocate for issues of critical importance to the legal profession. As in many past years, ABA members will focus on increasing funding for Legal Services Corp., the largest funder of civil legal aid to low-income Americans. Created in 1974, the organization supports 132 independent nonprofit legal aid programs in every state, the District of Columbia and U.S. territories. ABA President Bob Carlson says the ABA has a long history of supporting federal legal aid, beginning with Lewis F. Powell Jr., who served as ABA president in the 1960s and later became a justice on the U.S. Supreme Court. Despite the Trump administration’s proposal to cut all federal funding for LSC for the third time in three years, ABA members are requesting at ABA Day that Congress support LSC’s fiscal year 2020 funding request of $593 million and reduce the level of unmet legal needs for their constituents. He sent similar testimony to the Senate Appropriations Subcommittee on Commerce, Justice, Science and Related Agencies on Tuesday. The ABA lobbied against the defunding of LSC at ABA Day in 2017; that year LSC secured a $385 million appropriation. In 2018, the ABA advocated for a $482 million budget for LSC, to bring it in line with the organization’s funding levels in fiscal year 2010 when adjusted for inflation. Congress reinstated and increased LSC’s funding, but only to $410 million. In February, Congress again increased LSC’s funding, to $415 million. ABA members are also urging Congress to reject the Trump administration’s proposal to eliminate the Public Service Loan Forgiveness program at ABA Day. The program was established in 2007 to provide student loan forgiveness to qualified participants after 10 years of working in public service and making payments on their loans. It has previously been targeted for elimination by the White House, and in 2017, a bill introduced by the House of Representatives also threatened to end the program. The ABA separately sued the Department of Education in 2016 after its decision to drop some public interest lawyers from the program. A federal court found in February that when the department changed its interpretation of PSLF regulation, it did not adhere to notice standards mandated under the Administrative Procedure Act, and those changes were arbitrary and capricious. 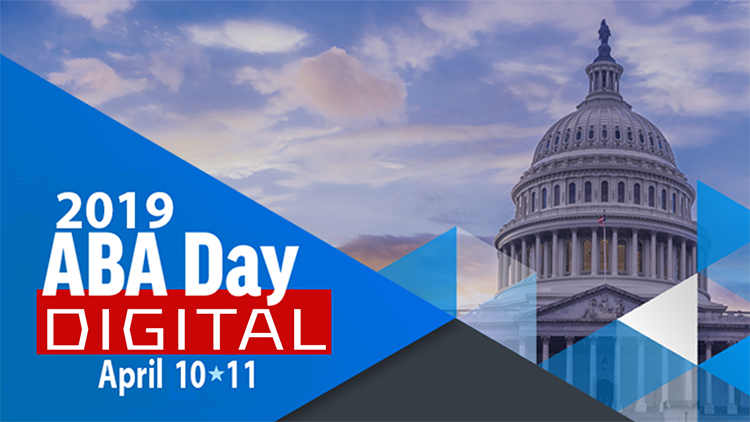 The ABA Grassroots Action Center has compiled a website with options for people to participate in ABA Day remotely, called ABA Day Digital. The website can help you reach your own Congressional representatives with pre-populated emails, suggestions for social media posts, and infographics that can be downloaded and circulated. The center is suggested people use the hashtags #ABADay, #Loan4Giveness, #Access2Justice, and #Justice4All to advocate for funding LSC and preserving the PSLF. For more information on ABA Day, go to http://ambar.org/abaday, or follow the #ABADay hashtag on Twitter and visit @ABAGrassroots.